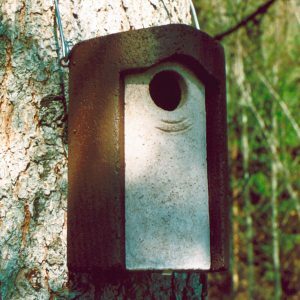 Like the Nest Box 1B, this box also has a brood chamber with an internal diameter of 12 cm. It differs, however, in that it can be freely suspended and has a conical roof. These features protect against Cats and Deter Martens. 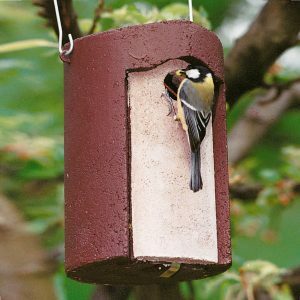 It is very popular in private gardens and especially around fruit trees, mainly in areas where the trees are short and have many branches. The front panels of the 1B and 2M are interchangeable. 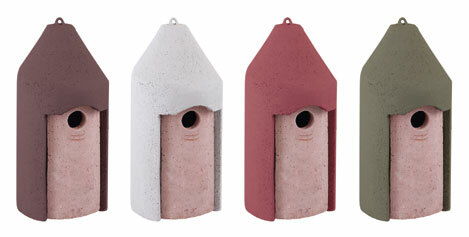 The different sized entrance holes can be matched to the predominant species of Birds in the locality. The 2M is supplied with the ordered hanger. With the FT Hanger the 2M is supplied with all the necessary attachments and three Aluminium Nails. 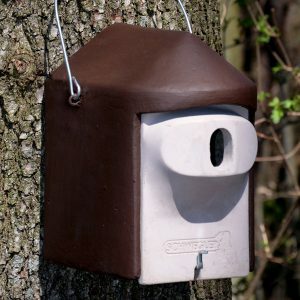 Product alternatively available with front panel for protection against Martens, product No. see price list. External dimensions: W 16 x H 35 x D 17 cm. Interior nesting chamber: ∅ 12 cm. 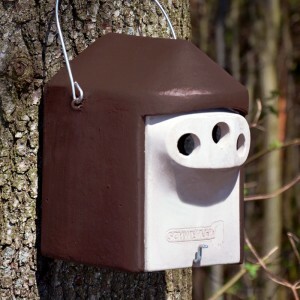 The Nest Box 2M is available with 3 different hanging ­methods. Please choose the appropriate method using the ­corresponding order numbers. 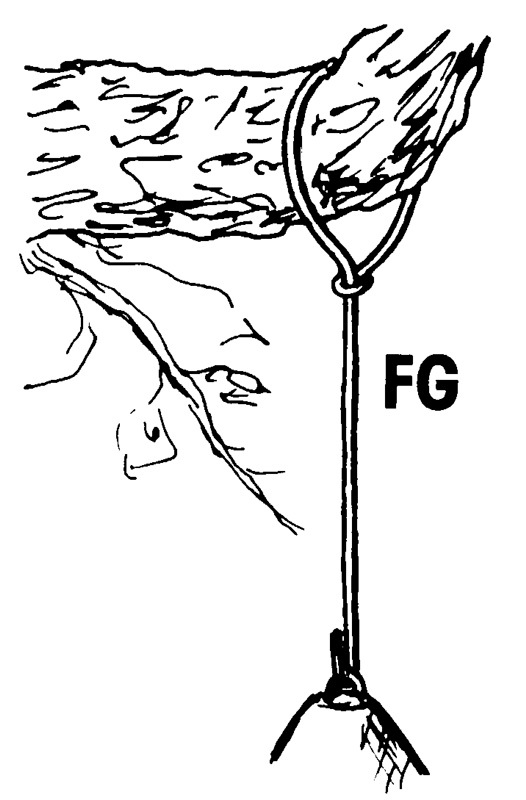 Model FG: The FG Hanger suspends the 2M from a branch by a closed loop. 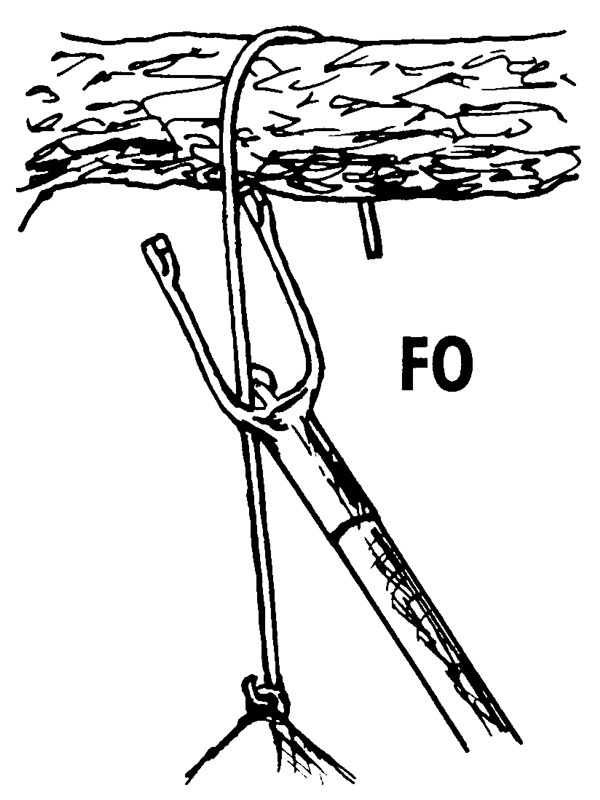 Model FO: The FO Hanger is hooked over a branch. Our Hanging Pole, ­Order No. 00 510/6, makes it easy to remove the box for cleaning and checking. 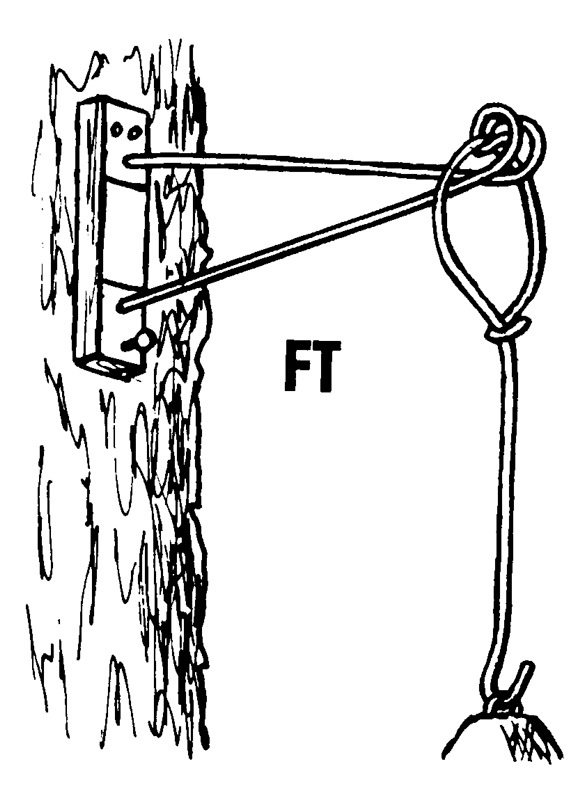 Model FT: This method, with a bracket to hold the box away from the tree and the FG type loop, is known as the FT Hanger. 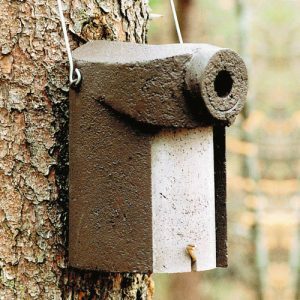 It can be attached to the trunk and offers even better protection against Cats, Dormice and Martens.